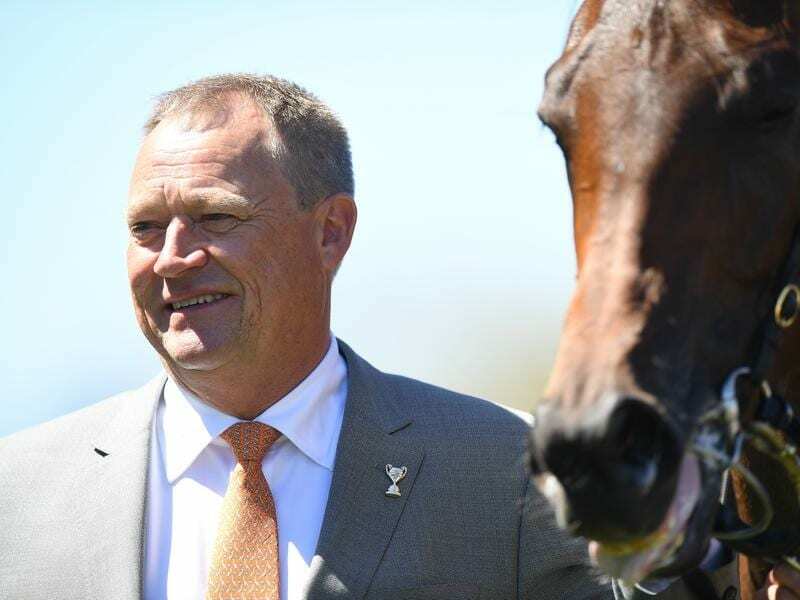 Tony McEvoy’s hopes that three-year-old filly Sunlight can upstage the older sprinters in the Group One Manikato Stakes have been boosted after the barrier draw for the $1 million race. The McEvoy-trained Sunlight worked sharply at Moonee Valley on Tuesday and will start from barrier three in a field of 14 in Friday night’s weight-for-age Manikato (1200m). “The one thing we needed a bit of luck at was the draw, with her style of racing,” McEvoy said. McEvoy won last year’s Manikato with Hey Doc and has targeted the race with Sunlight because he believes her speed is an asset that would be suited around the Valley with a light weight of 51kg. Sunlight has galloped twice at the course in the past four days. On Tuesday she sat off stablemate Beauty early in the hit-out before winning the gallop by about half a length, clocking 23.11 seconds for the final 400m. “She was excellent,” McEvoy said. “Luke (Currie) said that she wanted to really get going and then once he got to the point where he could let her run, he said she felt fantastic. “It was her second look around here and we let her rip on the bend and she was effective. Sunlight, who will be ridden by lightweight jockey Tim Clark, is being shaded for favouritism by Kementari who has barrier 12. Kementari has been freshened since his fourth in last month’s Makybe Diva Stakes. “We’d love to see the race evolve into a swooper’s event,” trainer James Cummings said. “He’ll be running on really strongly. A benefit of drawing 12 is that he’s not going to be locked away on the rail. The field includes four horses from Irish trainer Aidan O’Brien’s stable, with U S Navy Flag, to be ridden by Ryan Moore, the highest of those four in the market at $9.50.